One of my favorite magazine features is House Beautiful's Instant Room. This month's features designer Celerie Kimble. 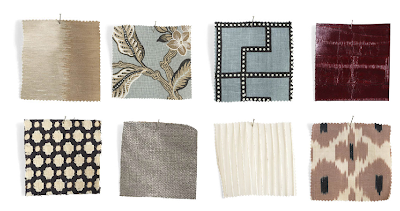 I love the fabrics she choose to convey the look of the room that is inspired by Chic Women. 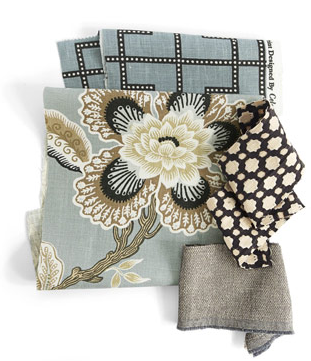 Simply pick a fabric or two from the group to create the pull Celerie's look together. Always inspiring for any small space dweller! 0 Responses to "A FAVE SITE: House Beautiful's Instant Room"